Braces fix alignment issues by applying a firm pressure on the teeth, which ultimately shifts them into a straighter position. 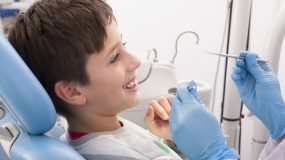 There are several options when deciding what type of braces use on a child, but typically, kids need braces with wires and rubber bands. The wires aid in shifting the teeth into a straighter position and the rubber bands fix alignment problems. 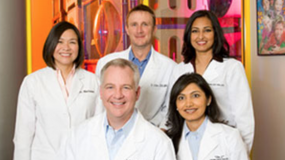 Some kids may need other orthodontic devices as well for optimal results. A headgear, for example, consists of a horseshoe shaped wire that connects to the back of the teeth and moves them back, creating more room for the teeth in the front of the mouth. When braces are on, the child will need to see the orthodontist every few weeks for adjustments and progress observation. 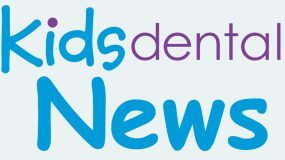 The amount of time a child must wear braces is completely contingent on what problems the orthodontist is attempting to correct, but kids wear braces for about two years on average. After braces, kids usually need to wear an individually molded retainer to keep their teeth from shifting back to their original positions. These braces consist of the traditional metal wires and metal brackets that most people picture when they hear the word “braces.” They are the most common kind of braces and are more comfortable than ever before. 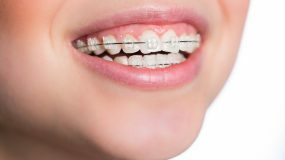 Traditional metal braces and metal brackets are made of high-grade stainless steel, and with metal braces, the child has the option of colored rubber bands, known as elastics, for a fun, bright, and individualized smile. Today’s brackets however, are much smaller in size and less conspicuous than the “metal mouth” braces that most of today’s adults recall from childhood. Also, modern metal archwires are heat-activated, using body heat to catalyze the shifting of teeth more rapidly and less painfully than in the past. Pros: Least costly option; colored rubber bands can be a fun and positive way for kids to demonstrate their creativity and individuality. Cons: Most obvious or prominent type of braces. 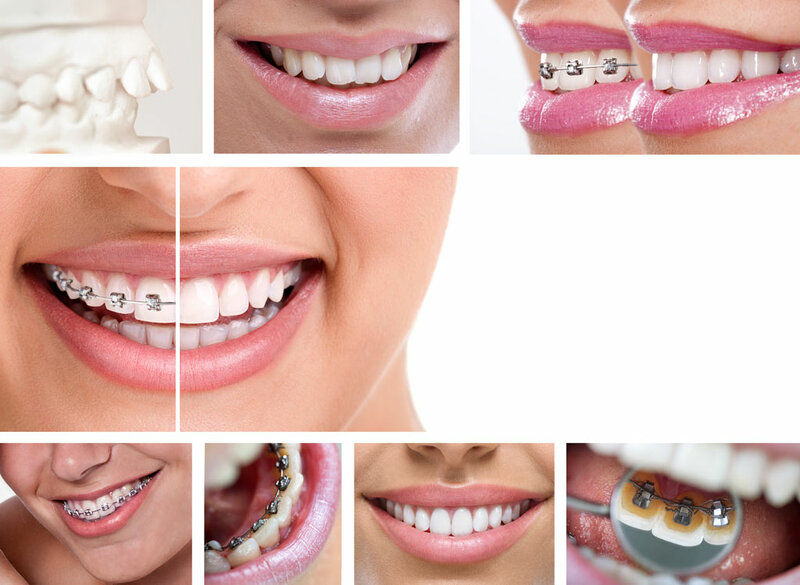 These braces consist of the traditional metal wires and ceramic or porcelain brackets. Ceramic brackets are the same shape as modern metal brackets, but they are less noticeable because they are tooth-colored or clear colored, which matches and blends in with a child’s natural smile better. They are ultimately, less noticeable and are often used on older adolescents and teenagers, who might be more concerned with the way braces affect them cosmetically. Sometimes, even tooth colored wires are available for an even less conspicuous look. This type of braces, however, does necessitate more time caring for oral hygiene, because ceramic brackets are larger and more fragile than metal brackets. Due to the increased need for special attention and care, ceramic/porcelain braces are more often used on upper front teeth than lower teeth. Pros: Less conspicuous than traditional metal braces with metal brackets; shift teeth much faster than clear removable tooth aligners. Cons: More costly than metal braces with metal brackets; clear or tooth-colored brackets stain more easily than metal brackets if patients do not spend enough time caring for them correctly. These braces consist of the same materials as traditional braces, excluding the elastics (rubber bands). 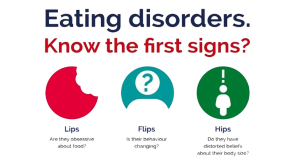 Self ligating braces do not necessitate the use of elastics, so, consequently, fewer appointments with the orthodontist are required and less resistance is being applied to the teeth. Traditional metal, clear, and ceramic brackets are all available for self ligating braces. These brackets, however, incorporate a specialized clip instead of elastics to assist the archwire in shifting the teeth into place. This specialized clip lessens the pressure being applied on the tooth, and does not need to be adjusted as often as other types of braces, because there are no elastics to change out. Pros: Less plaque build up around bracket due to the use of clips instead of elastics, so easier to keep clean; typically shift teeth into places faster than traditional braces; fewer adjustments necessary due to the use of clips instead of elastics; less conspicuous than traditional braces and more comfortable. Cons: Some feel brackets are more prominent, because they are not cushioned by elastics. These braces are the same as traditional metal braces, but the wires and brackets are applied to the inside of the teeth instead of the outside. These braces are used much less commonly than the other types of braces and can make oral hygiene more difficult to maintain than traditional braces. Also, this method of aligning teeth may take longer than more traditional methods. Pros: Not visible from the outside. Cons: More expensive than other types of braces; not affective for more severe cases; tough to clean and maintain optimal oral hygiene; can be much more uncomfortable in the beginning of treatment than other types of braces; normal adjustments are more difficult to achieve and take more time than traditional braces. This method of aligning teeth has, in recent years, become very popular with adults and teens, who do not need major adjustments or have any severe orthodontic issues. Removable tooth aligners are virtually invisible, removable acrylic trays, which straighten the teeth just like the more traditional types of braces. They are more comfortable, making cleaning and oral hygiene much easier, and allow a person to eat and drink whatever he or she wants during orthodontic treatment. The most recognizable and common brand name for removable tooth aligners is “Invisalign,” which shifts teeth into place with a series of 18 to 30 custom-made clear plastic aligners. These clear aligners resemble a very discreet mouth guard and are replaced every two weeks with a new set. Pros: Nearly invisible; no metal to cause abrasions during orthodontic treatment; no dietary restrictions; brushing and flossing is much less of a hassle and optimal oral hygiene is easier to maintain than with other types of braces. Cons: More costly option; not sufficient to treat severe orthodontic problems; Not available for children, only for teens and adults; treatment may take more time than with other types of braces; trays are easy to lose and expensive to replace.